Dubai is one of the most rapidly developing and fastest growing cities in the world. A number of highly effective team building activities in Dubai are offered and a dramatic transformation has been observed. 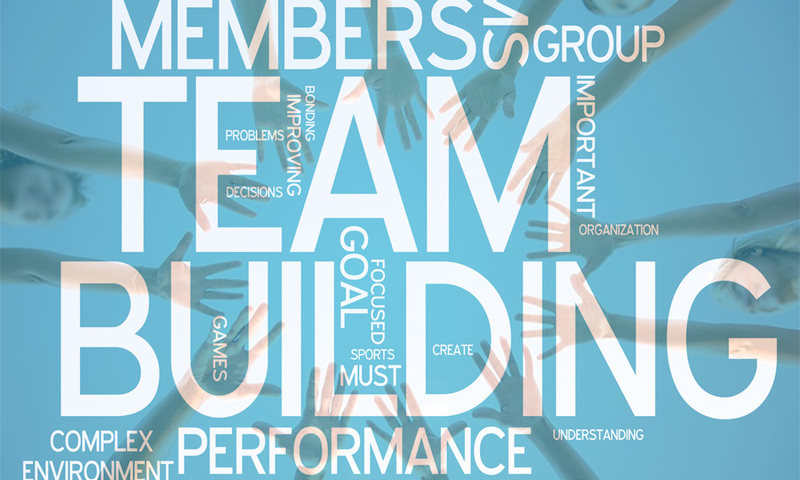 Team building activities play an important role in the success of a company. People need to work closely together and work effectively in order to get tasks accomplished quickly. Team building activities are vital because teamwork is so critical to the success of a business. Team building activities create discussion which enables communication among employees and this improves office relationships which in turn help in the production of better quality work. Team building activities motivate the employees to take on new challenges. It enables them to express their ideas and opinions and thus, they will become more confident. Team building activities give them the opportunity to experience new settings out of the normal office routine and exposes them to new challenges. Working together with other team members can produce fresh ideas and creativity. Team building activities allow coworkers to work together in order to solve problems, this can help improve their ability to think strategically and rationally. Teams are able to determine whenever a problem arises and can effectively take charge when a problem occurs. Team building activities break the barriers and increases the trust factor with your employees. Overall, team building activities enables better relationships, better communications and in turn, increases productivity. We have listed below some of the popular team building activities in Dubai. If you want to suggest a team building activity or venue in Dubai, please add comments at the end of the article. The aim of this team building activity in Dubai is to create such an experience in which the difference between activity and productivity does not only mean success or failure, but means life or death. The exciting world within this learning experience is similar to the world we face every day at work- such a world where the collections of resources, planning and action that directs you towards your goal and performed without a changing environment are the keys to better results. This team building activity holds the one rule that benefits your team to learn how to spend their resources and time to get as much gold as they possibly can. The gold actually represents your profit stream. This team building activity focuses on effective communication. Communication is the most important key that helps every participant to unlock their own key to better communication. A finely tuned self-awareness and a guide to the delegates are created with the help of this business game- team building activity. This helps one to identify their communication needs. This team building activity creates a complete business process which includes concepts of design, marketing, promotion and production. This activity is carried out in a very creative and light-hearted environment which requires a lot of artistic skills, cooperation and mental skills. Prizes are awarded to the winning team after being assessed for profitability, quality and originality. The team building activity in Dubai “Common Currency” is also known as the “Co-operative Competition”. This team building activity enables individuals to build their team and interpersonal skills. It is an active, fun, simple to perform, but complex to succeed at. In this team building activity, a team is instructed to build a rocket model and successfully launch it to Mars. This activity focuses on the need for sharing ideas, information and the need to achieve team spirit and success. This is the type of team building activity in which participants get on a journey to understand the power of collaborative competition. Participants arrive to a room which is set up as United League of Nations, where countries compete with flags, national anthems and passports. This program creates the pressure and obstacles that are faced by interdependent teams and steadily reveals the powerful relationship between results and teamwork. To achieve success in any business setting, being able to work productively withinin a team is a vital factor. It is important that teams are challenged to be pioneering and can brainstorm ideas and arrive at solutions that are productive and feasible, especially in the face of increasing competitive pressure. Increase in results and engagement level is noticed when teams start co-operating and collaborate effectively at work. We know that, music and rhythm have always been used as a mood changer. It can help uplift the mood and get people to work together. It delivers the best factor for corporate events and conferences. It is high-end entertainment and team building rolled into one activity in Dubai. It helps the teams realize that they can achieve outcomes that they didn’t know they were competent of. So, add this activity in your list of best team building activities in Dubai. This popular team building activity in Dubai is used as an energizing team exercise where teams compete against each other. In this game, different teams use specifically constructed wooden ropes and boards to cross the terrain, but they must not stop on the ground otherwise they will incur punishment. This team building activity is all about group decision making. It is an interactive and engaging team-making business game that challenges the teams to solve problems under a giving period of time and on a specific budget. These are some of the popular team building activities in Dubai. If you want to recommend an activity or a venue, please do so by adding comments below.